This month, Dr. Skorton applauds some of our colleagues’ recent accomplishments. We refer so often to the “depth and breadth” of the Smithsonian’s expertise and resources that it can be easy to forget that they exist because of our community of accomplished and dedicated colleagues. Each day we make new discoveries; deepen our understanding of the natural world; extend our grasp of the limits of the universe; celebrate the inexhaustible creativity of the human spirit; challenge our assumptions about our culture; and share all of this with the public through exhibitions, programs, and education. As an Institution, we have a noble mission and lofty goals. But we can achieve them only through the efforts of individuals. This month, I wanted to highlight a very, very few of the recent accolades and achievements attained by our community. All of you make the Smithsonian the great Institution that it is and I am very proud and grateful to be your colleague. Traditionally, the highest accolades in the academic and research worlds go to those recognized by their peers for the intellectual rigor of their research and the significance of their achievements. One prestigious association of scholars and practitioners, the American Academy of Arts and Sciences was founded in 1790 and serves the nation as a champion of scholarship, civil dialogue, and useful knowledge. As one of the country’s oldest learned societies and independent policy research centers, the Academy convenes leaders from the academic, business, and government sectors to respond to the challenges facing the nation and the world. Academy membership reflects the full range of disciplines and professions: mathematics, the physical and biological sciences, medicine, the social sciences and humanities, business, government, public affairs, and the arts, including more than 250 Nobel laureates and 60 Pulitzer Prize winners. The United States also boasts the prestigious National Academy of Sciences. Established by an Act of Congress, signed by President Abraham Lincoln in 1863, NAS is charged with providing independent, objective advice to the nation on matters related to science and technology. Scientists are elected by their peers to membership in the NAS for outstanding contributions to research. I am particularly proud of the fact that among the NAS members—nearly 500 of whom have won Nobel prizes—are three of the Smithsonian’s most distinguished women scientists: Nancy Knowlton, Dolores Piperno and Melinda Zeder. The Smithsonian is committed to attracting and nurturing each new generation of scientists and encouraging research that adds to our understanding of our world. 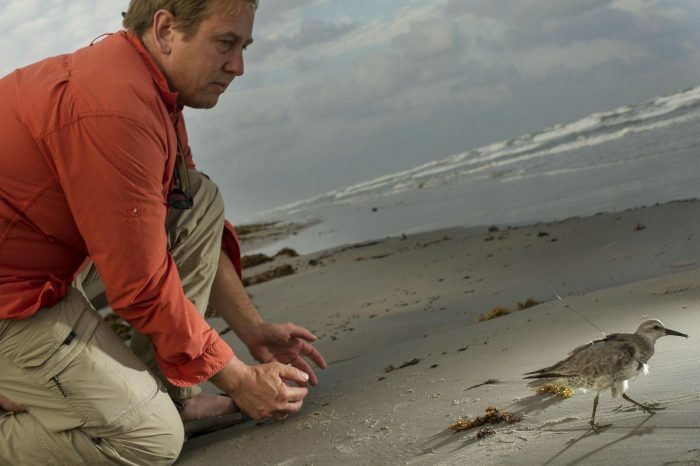 Pete Marra, director of the Smithsonian Migratory Bird Center, recently received the American Ornithological Society’s prestigious Elliott Coues Award in recognition of his outstanding and innovative ornithological research. Pete Marra, courtesy Smithsonian’s National Zoo. Paleontologist Nick Pyenson of the National Museum of Natural History and astronomer John Kovac of the Harvard-Smithsonian Center for Astrophysics were last year given the highest honor bestowed by the U.S. government on scientists in the early stages of their careers. The Presidential Early Career Awards for Scientists and Engineers, established by President Clinton in 1996, are coordinated by the Office of Science and Technology Policy within the Executive Office of the President. Award recipients are selected for their pursuit of innovative research at the frontiers of science and technology and their commitment to community service as demonstrated through scientific leadership, public education, or community outreach. Although it was founded primarily as a scientific institution, the Smithsonian’s mission encompasses all disciplines in its unique position as the largest museum, research, and education complex in the world. Our colleagues embody that diversity of expertise and break new ground with significant contributions to American arts and culture. Caroline Baumann, director of Cooper Hewitt, Smithsonian Design Museum, recently received the insignia of Chevalier of the Order of Arts and Letters by Bénédicte de Montlaur, Cultural Counselor of the French Embassy, in recognition of her significant contributions to the fields of art and design. 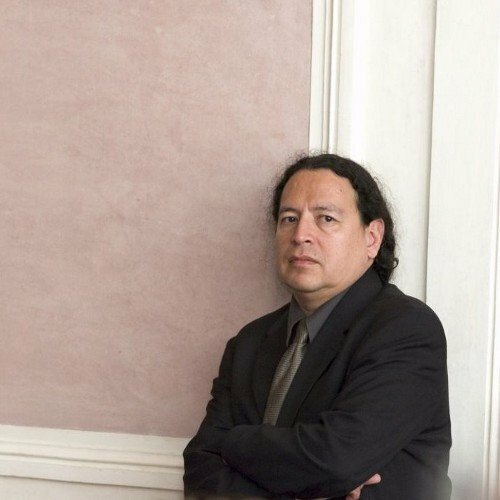 Paul Chaat Smith (Comanche), noted author and Associate Curator at the National Museum of the American Indian, was selected by the International Association of Art Critics to deliver the 11th annual AICA-USA Distinguished Critic Lecture, the first Smithsonian curator to receive this honor. The previous ten AICA-USA Distinguished Critic Lectures at The New School include the most prominent art critics in the United States. Frank Blazich, curator in the Division of Armed Forces History of the National Museum of American History, recently received the Civil Air Patrol Distinguished Service Award for his service as national historian overseeing the corporation’s 75th anniversary commemoration. The Civil Air Patrol is a congressionally chartered, federally supported non-profit corporation that serves as the official civilian auxiliary of the United States Air Force. Founder and director of international Jazz Appreciation Month and founder and longtime executive director of the Jazz Masterworks Orchestra, John Edward Hasse, Curator Emeritus in the Division of Culture and the Arts of NMAH, received an Achievement Award from the Jazz Arts Initiative. 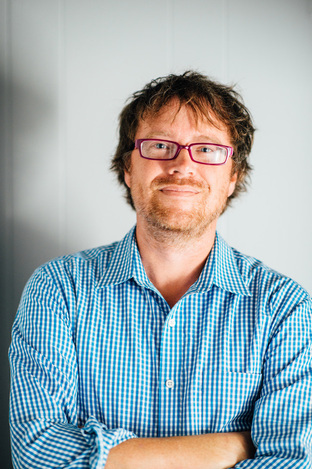 John Troutman, NMAH curator in the Division of Culture and the Arts, has won several awards for his critically acclaimed book Kīkā Kila, How the Hawaiian Steel Guitar Changed the Sound of Modern Music, including the Organization of American Historians’ 2017 Lawrence W. Levine Award for Best Book in American Cultural History and the Woody Guthrie Award from the International Association for the Study of Popular Music-US Branch. Additionally, three Smithsonian curators have been honored by the Association of Art Curators & AAMC Foundation with Awards for Excellence, the organizations’ annual prize recognizing groundbreaking scholarship. Kevin D. Dumouchelle, curator, National Museum of African Art; NMAfA Deputy Director and Chief Curator Christine M. Kreamer; and NMAfA Curator Karen E. Milbourne received the Award for Excellence for the exhibition, Visionary: Viewpoints on Africa’s Arts. Carmen Ramos, Deputy Chief Curator and curator of Latino Art, received the exhibition Award for Excellence for Down These Mean Streets: Community and Place in Urban Photography at the Smithsonian American Art Museum. Knowledge that is not shared is squandered. Our commitment to the diffusion of knowledge is reflected every day in our efforts to reach beyond the museum and the laboratory to share our wealth of resources with everyone. These are just a few of the ways our colleagues are working to serve our mission. The Native Knowledge 360˚ education initiative of the National Museum of the American Indian is a finalist for the AAM’s Galleries, Libraries, Archives and Museums Innovation award. The AAM’s Museums and the Web GLAMi awards recognize the best work by galleries, libraries, archives, and museums worldwide to engage, excite, and inform audiences online and beyond. 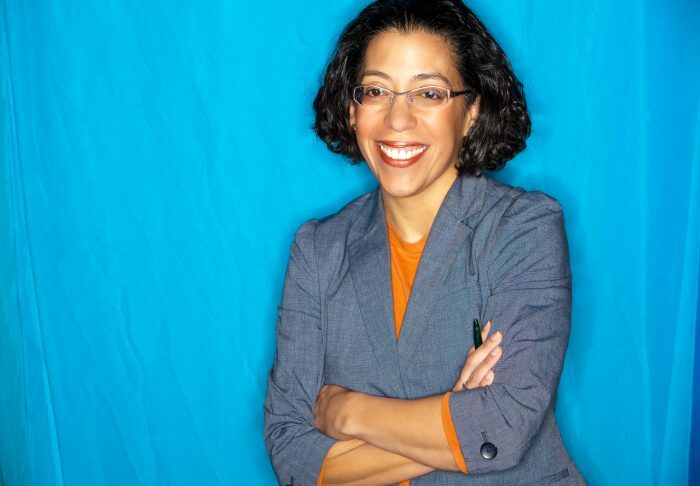 Maria Marable-Bunch, who joined the National Museum of the American Indian earlier this year as Associate Director for Museum Learning and Programs, has been honored with the EdCom Excellence in Practice award, which recognizes an individual who demonstrates exemplary service to the public through the practice of education in a museum. EdCom is AAM’s Education Professional Network. 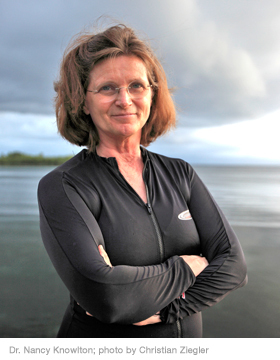 Sharon Wilson of the Center for Earth and Planetary Studies at the Air and Space Museum won the Maury Award from the University of Virginia. This is the top award for a graduate student in the University of Virginia Department of Environmental Sciences. We may have been founded in the 1840s, but we’ve embraced the Digital Age with alacrity. Several innovative projects from the Smithsonian were nominated this year for Webby Awards. The Webby Awards are the leading international award honoring excellence on the Internet. The awards are presented by the International Academy of Digital Arts and Sciences, whose membership includes leading Web experts, business figures, luminaries, visionaries, and Internet professionals. Six Smithsonian units—including the National Museum of African American History and Culture*, the National Museum of the American Indian, Smithsonian magazine, the National Museum of Natural History’s Global Vulcanism Program, the Smithsonian Science Education Center and the Smithsonian Channel—competed for the People’s Voice award for the five best websites or digital initiatives. 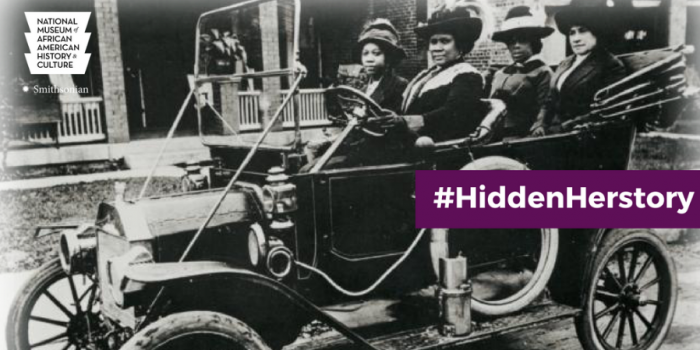 The National Museum of African American History and Culture for the campaign #HiddenHerstory celebrating the stories of unsung women in American History. We’re also generating a lot of buzz with our new podcast, Sidedoor. With the help of our biologists, artists, historians, archaeologists, zookeepers, and astrophysicists, Sidedoor takes listeners behind the scenes to search for the stories that can’t be found anywhere else. An instant success, Sidedoor was named by Atlantic magazine one of the top 50 must-listen podcasts of 2017. As season two continues to build momentum, host Tony Cohn and producer Jason Orfanon gave a presentation on the podcast’s creation at the annual meeting of the American Alliance of Museums this month. These are just a few of the many, many of our colleagues who are breaking new ground and receiving recognition for their efforts. I am proud and humbled to be your Secretary and I am grateful for your service to the Smithsonian. *UPDATE: The National Museum of African American History and Culture received the People’s Voice Webby Award for the social media campaign #HiddenHerstory. Congratulations! David J. Skorton is the 13th Secretary of the Smithsonian. A board-certified cardiologist whose specialty is congenital heart disease and cardiac imaging, Skorton is also an avid jazz musician and a passionate supporter of the arts and humanities.